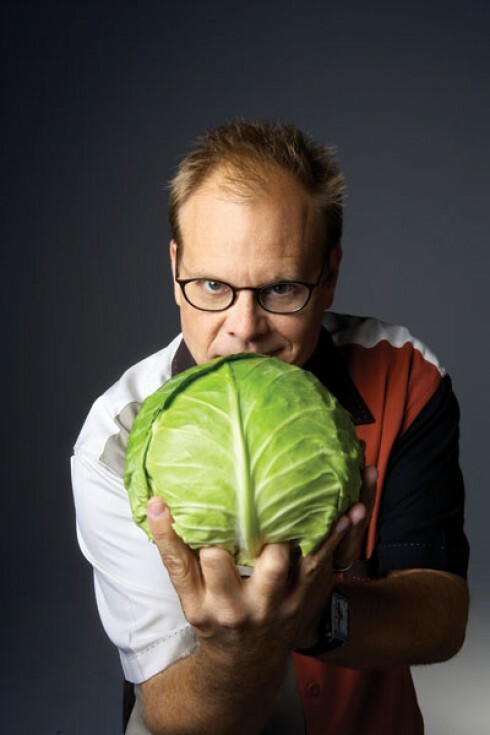 If you haven’t seen Alton Brown’s show ‘Good Eats’ on the Food Network, you are missing out. It’s one of the best shows to improve your skills in the kitchen, and is most entertaining to watch. The tools and tricks he teaches are invaluable. The man is a creative GENIUS. One of the most current episodes of Good Eats actually focuses on weight loss, given his own recent drop of about 50 pounds. He gave some simple lists of what he eats (and doesn’t eat.) While everyone’s body is different, his lists seem like a pretty sound way to eat nutritiously. And deliciously. His Daily list includes: fruit, whole grains, leafy greens, nuts, carrots, and green tea. 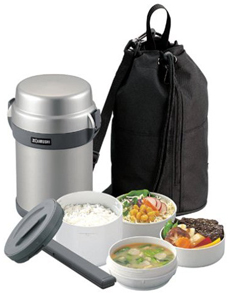 His 3 times a week list includes: oily fish, yogurt, broccoli, sweet potato, and avocado. His Once a week list includes: red meat, pasta, dessert, alcohol. His Never list includes: fast food, soda, processed meals/frozen dinners, canned soup (too much sodium), “diet” anything. Rather than being a diet, these are all pretty sound recommendations for a healthy lifestyle, and for the most part, how I aspire to eat. Although oatmeal is my breakfast of choice, he also makes a good breakfast smoothie suggestion: a total of 24 ounces (by weight) – to do so, put your blender on a digital scale and tare to zero. Add 4 ounces of acai juice, 4 ounces of light soy milk, 4 ounces each of frozen fruits to add up to 24 ounces). And his suggestion was to make it at night and put them all in the refrigerator overnight before blending. He also gave useful blending advice, including to start out slow and then build speed to a slow vortex in order to get it to mix thoroughly. Many thanks to the writer of the above article!